Within five minutes of arriving at the TACTYC Conference on Friday I was aware of how much experience, knowledge and passion was in the room. As Janet Moyles said “here are the giants of early years education, upon whose shoulders we all stand today”. TACTYC began with a letter sent out in November 1978 to teachers of early childhood studies across the UK. It has grown into an extraordinary family of researchers, lobbyists and consultants. It came as no surprise to find out that the first professors in education in the UK came out of TACTYC. At the conference, sitting alongside a panel of six other experienced experts, Lesley Abbott told us about the beginning of TACTYC, where the founding call came because of isolation and the feeling that “the early years person is fighting a lone battle”. Rosemary Peacocke : “You must get yourself known. Everyone has a responsibility, so it’s important to lobby more”. Practitioner voice is so needed. And I am very glad to be broadening my membership of organisations who are advocating for evidence-led policies and practice, including TACTYC. TACTYC made it very clear what we are fighting for. 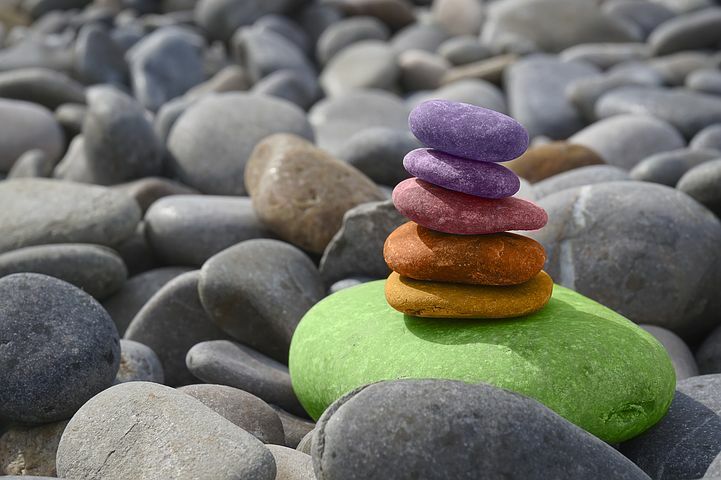 The research presented at the conference highlighted the push from government on formalised learning in early years continues to impact negatively. It felt very exciting and motivating to be a part of the celebration of 40 years of an organisation that promotes and advocates the highest quality professional development for all early years educators. 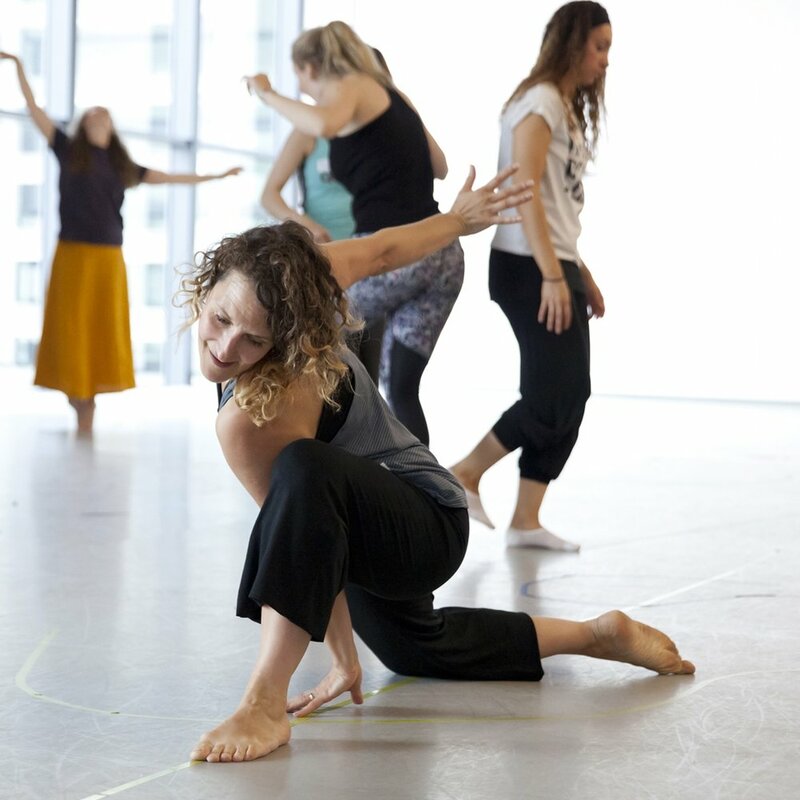 It was edifying to be able to add my own thoughts and research into that mix through a discussion forum on dance improvisation and quality interactions.. 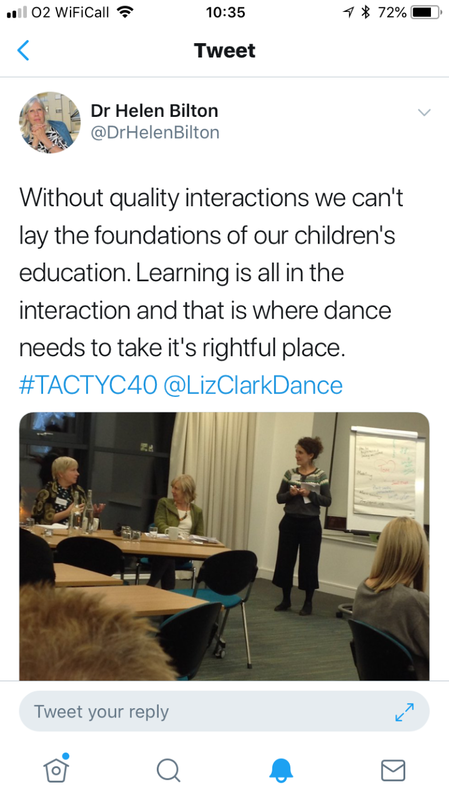 If I was ever in doubt of the child-led and playful pedagogic approach I use through dance in early years, this conference has sealed my fate forever. The call for us practitioners is not only to push forward great practice based on how we KNOW children learn it’s also to dig deep in to the why’s, to advocate, lobby, and to never give up. TACTYC is indeed an extraordinary family. Generous, professional and inclusive. Join if you can, go to their conferences. You won’t regret it.